it's for the rest of us My giant metal pole I have bought a few years ago for my friends to come over and celebrate. Does ecojason12 belong in this group? Festive gatherings are fun to me. I have been to Scottish & Irish Festivals. When I lived in San Diego there was a place that represented many cultures. I loved that. Does gracie1252 belong in this group? Does mke911 belong in this group? 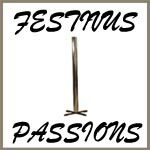 Like to find a woman who enjoys celebrating Festivus. Does renman4u belong in this group?